Model row in the residential section of Cambridge Square in Ooltewah, Tennessee. BP is responsible for all aspects of the development, both commercial and residential. 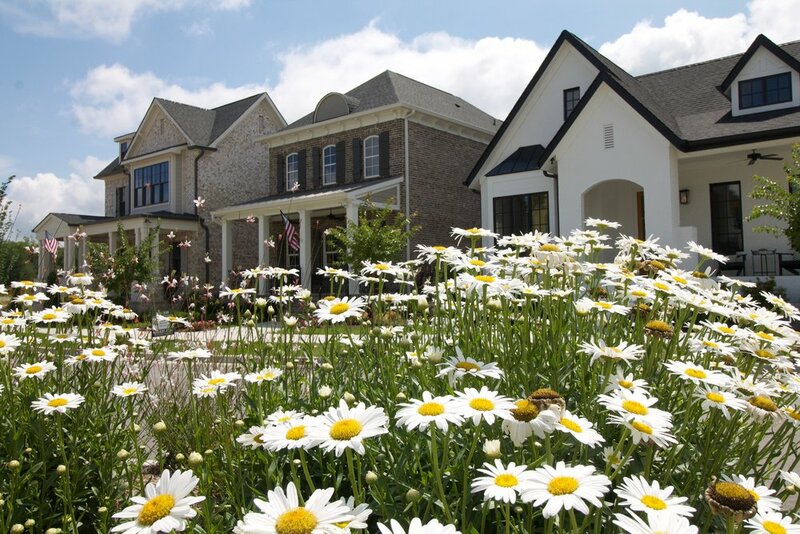 BP Construction has been a leader in Greater Chattanooga's residential housing market for more than three decades. BP Construction upholds a commitment to quality residential design and construction in each and every residence we build. With hundreds of clients living in neighborhoods across Hamilton County, BP has played both development and contractor roles in some of the region’s most eloquent and well-appointed neighborhoods. BP offers services in custom home construction, remodeling and renovation, and neighborhood infrastructure development. The company's long-standing ties with the Chattanooga market has garnered established relationships with some of the areas most qualified sub-contractors and architectural firms — relationships that provide superior craftsmanship and homeowner satisfaction.